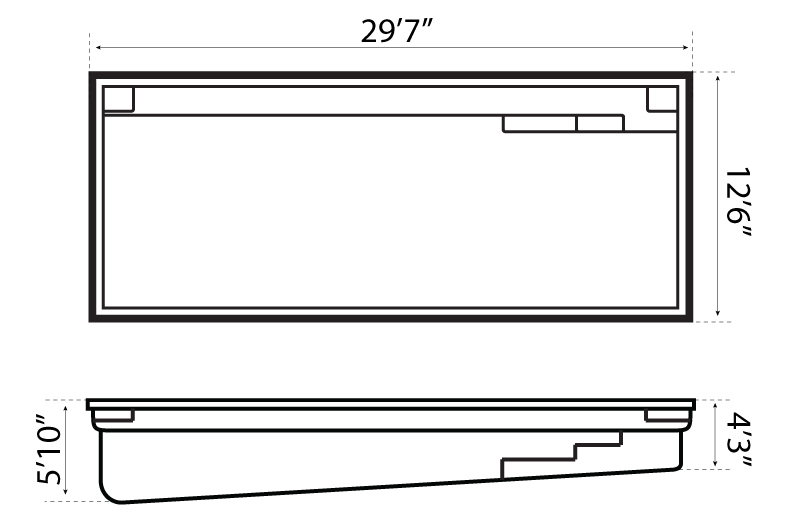 Reflection 30 - 12' x 29' x 4'3"-5'10"
Reflection 30 pool model is one piece fiberglass construction and has a true rectangular shape. Pool has safety ledge all around the pool for extra security. Front entry is located on the side of the pool creating generous entry with extended SPA nook seat for optional therapeutic jets installation. Sitting area located all the way along one side of the pool. 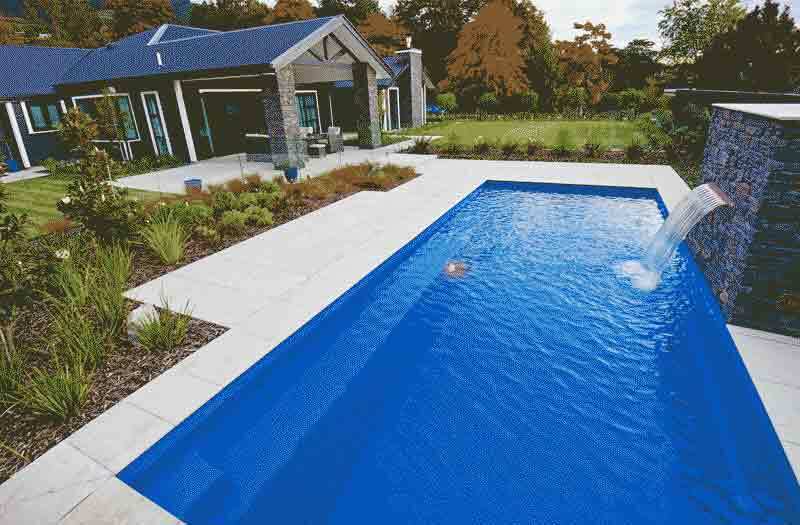 The Grande is the flagship of the Leisure Pools range. At almost 40' in length, 16' in width and a deep end of 6' 6", this is a swimming pool of seriously generous proportions. 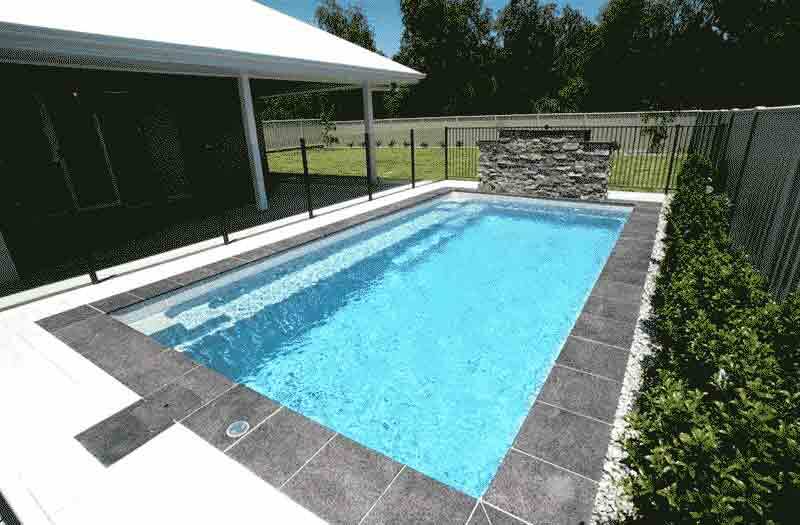 Entry to and exit from the pool is by way of a broad well positioned set of steps that go right to the pool floor. 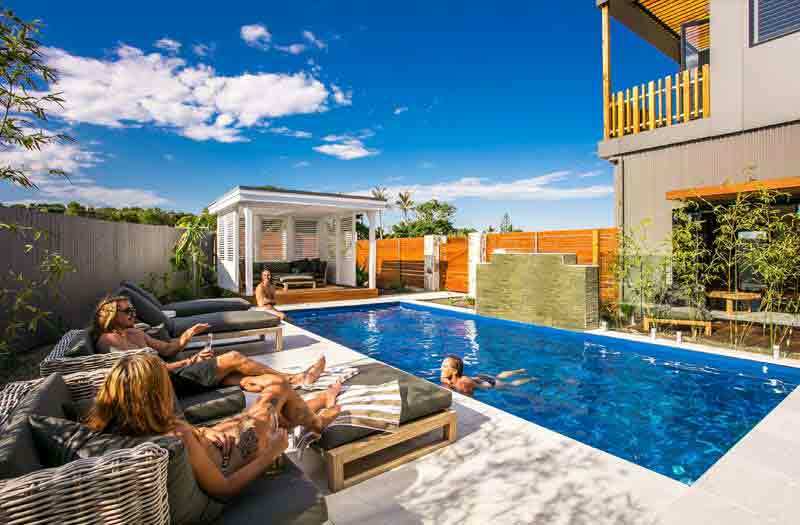 Here is the perfect pool for games and pool parties, without doubt the Grande can be best described as user friendly. Functionality and size are not the only strong points of the Grande. 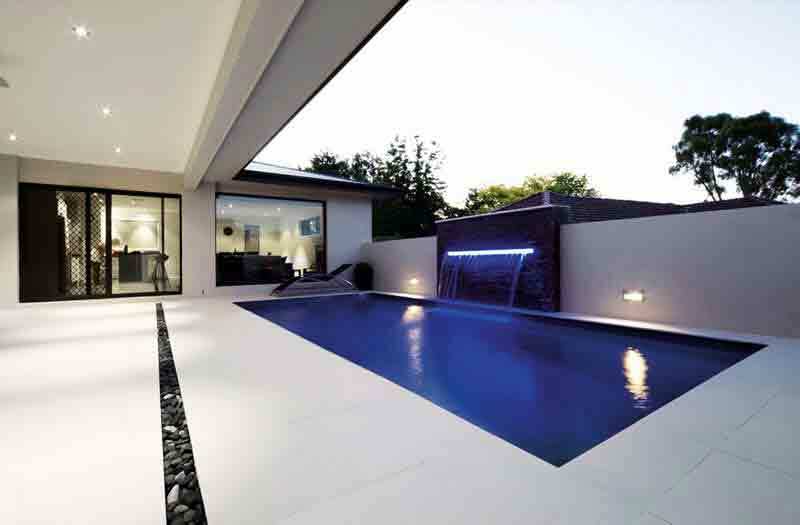 This pool is also about style with its stunning good looks and contemporary lines. Leonardo Da Vinci once said "Simplicity is the ultimate sophistication". Surely, he was talking about the Grande, a pool that will make a huge impression in your backyard.